Long live the king. Show your Marvel pride with this Black Panther Movie Logo Lanyard. Complete with a neck break-away lower buckle release, it also includes a collectible sticker, clear ID sleeve, and molded metal charm. 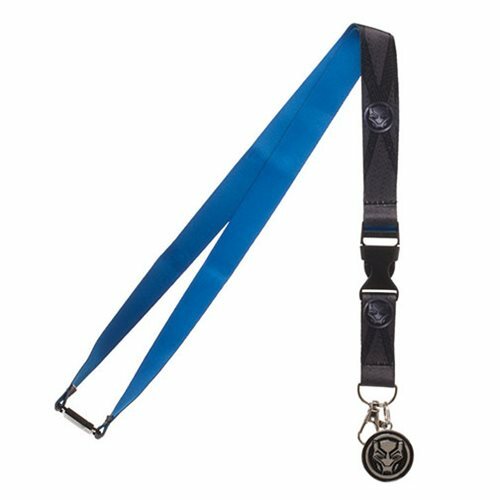 The overall length of the length of the lanyard is 22-inches, not including the ID holder.Ages 14 and up.